Coach Toby Radford admits some of Glamorgan's top order batsmen will be disappointed after the innings-and-157-run thrashing by Lancashire. The result leaves Glamorgan trailing Division Two leaders Lancashire by 68 and are 26 behind second-placed Surrey. Glamorgan were all out for 193 in their second innings, losing five wickets for 12 after Chris Cooke was out for 56. "Individual players will be disappointed and some have a little bit of work to do," said Radford. "We haven't given up on the championship but with five matches to go it's becoming a tougher prospect." It was a second successive championship defeat for Glamorgan following a run of nine games unbeaten in the four-day campaign. The Welsh county now have a series of limited-overs games before returning to the longer format on 6 August. "Having had a great run, suddenly you get two losses on what's been an 18-day road trip so everyone's a bit tired and wants to refresh and re-boot before Gloucestershire at Swansea," added Radford. "I think this [break] comes at a good time because those last five championship matches are massive in terms of whether we can still get promotion or being in a place to justify how well we've played for the majority of the season." Radford welcomed the form of teenage batsman Aneurin Donald, who was omitted from the Lancashire game despite hitting 67 in the second innings against Essex. The 18-year-old England U-19 one-day captain scored 240 for the second team against Gloucestershire while the first XI were struggling at Colwyn Bay. The coach justified the selection, which he said took into account the wicket in north Wales. "Because it was a very dry pitch we thought we'd play the two front-line spinners which meant leaving one batter out and we've gone with the more senior players who've delivered at this level before," said Radford. "Aneurin Donald is a real talent, I'm delighted he got 240 and I was one of the first to congratulate him. "He's an outstanding talent on other weeks he'll play and someone else might miss out. "He's saying 'pick me' and I'd like to see that sort of form from other [second-team] batters and bowlers - it's important the first team are kept on their toes and there are people champing at the bit." 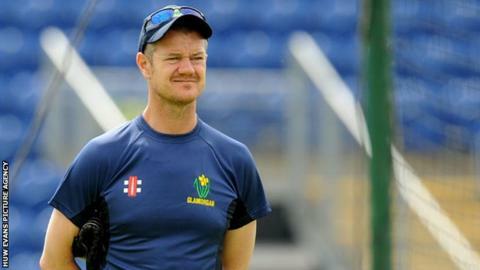 Glamorgan now switch to T20 Blast action against Gloucestershire, needing to win their final group match at the SSE Swalec Stadium on Friday and hope other results go their way if they are to reach the quarter-finals.